We need to take care of all the hearts in these troubled times. I am writing to you from Dallas, the day after five policemen were killed by a sniper; six policemen wounded and two civilians. Your poem was quoted in the comment section of a FB post and it resonated in my heart. I already felt anguish over the murders of two young black men in Baton Rouge and St. Paul. Today I search for hope and I am feeling lost. You have an amazing talent and I have bookmarked this page and will be sharing it with all who have ears to hear. Your talent has been an incredible gift to me today. Thank you so much. So sorry- forwarded message to Warsan’s gmail address. So worried. I want everyone to know her poetry. Warsan is a powerful voice. Wow. Very moving piece. Beautiful and so sad. What lovely words. Thank you. Your poetry is beautiful. My heart skips a beat when I read your poetry. I don’t seek out poetry as much as it finds me and when it does…I feel that I can breathe again because someone feels like I feel. Thank you. I wish I could take the credit but this lovely poem is by Warsan Shire. 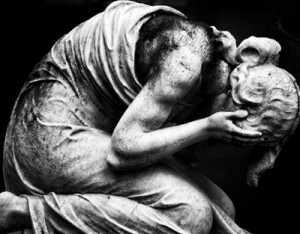 I discovered your website when I was looking for images that represent grief and loss and I love the picture next to this particular poem. It conveys so much! Can you tell me where it is from? Thank you for your work. I love this poem too. It’s by Warsan Shire. Pingback: Sept 30 – “Where Does it Hurt?” Warsan Shire | Poetry Blog: "A Work Day in Hard Times"
By far thee most beautiful poem I’ve ever read. Gorgeous. Me too! The first time I read this poem I literally slumped back in my chair and let loose one of those slow breaths,-the kind when something is so moving that you can’t speak right away. And yes, our world is in pain and crying to us from every continent and ocean. It’s quite overwhelming. But better to be that than to be unable to feel. Wow. Especially now, just days after the U.S. Presidential Election, it is quite poignant. Thank you. Thank you for further cracking the nationalist foundations which have enclosed our lands, our minds and our hearts. Nationalism separates us for the glory of those whose only wish is to rule. Amen! Google “War is a Racket” by Lt. General Smedley Butler. I can’t stop thinking about this poem. I saw it somewhere, only the last part was used. …from the Atlas line. I committed it to memory and now I found the compassionate mind that wrote such poignant words. Thank you for expressing this truth. Poignant at any time but especially today. My heart aches for Manchester. Actually I ache for our whole bruised world.